One Tailed Tanuki, resident of [unknown], this cowardly tanuki gives its user the ability to control sand, and will even control it to protect his host providing them with a near perfect defense. 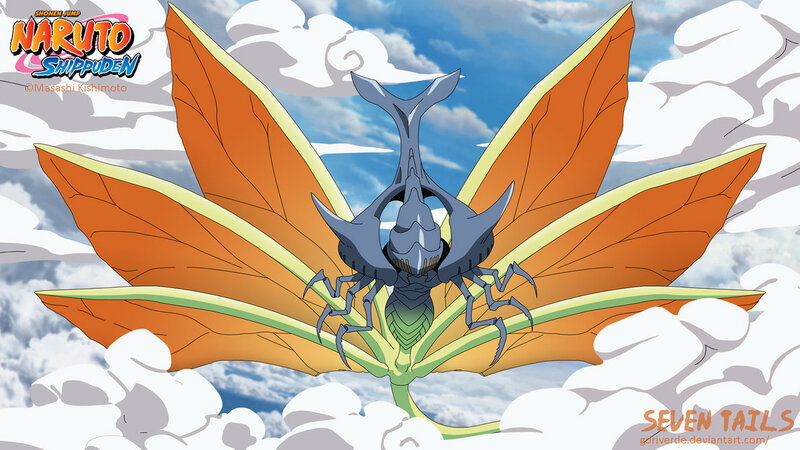 The Host of Shukaku gains access to the advanced element Sand/Suton, and its predecessors Wind/Fuuton and Earth/Doton. The user always has access to this element, even as Genin, but they must take the Ninjutsu Specialty to be able to use it. Two Tailed Cat, resident of Kaze no Kuni, This two tailed cat grants the host access to special purple fire based attacks. 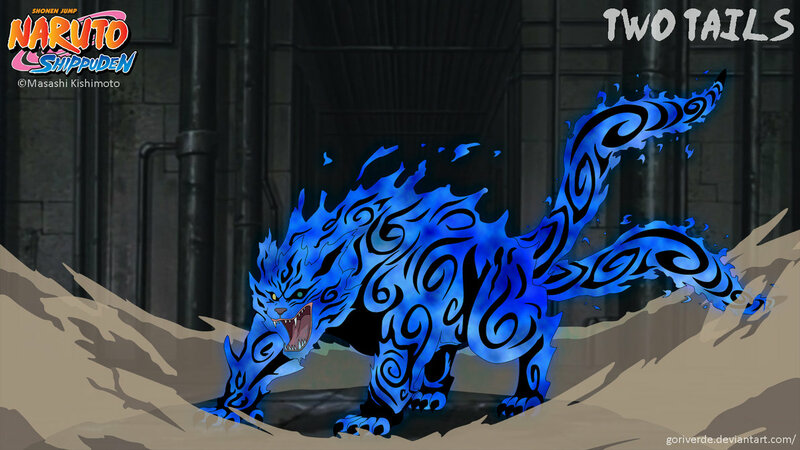 The Host of Matatabi gains access the B-Rank Affinity 'Major Chakra Control', exclusively to Fire/Katon Jutsu. This stacks with any other cost reduction, but only applies to Fire-Based Jutsu. Additionally, the Host's Katon jutsu take on a purple color. Three Tailed Beast, resident of [unknown], this three tailed turtle thing grants its host more refined control of water. The Host of Isobu passively gains the B-Rank Affinity 'Major Chakra Control', exclusively to Water/Suiton Jutsu. This stacks with any other cost reduction, but only applies to Water-Based Jutsu. Additionally, the Host can generate and manipulate Coral. Four Tailed Monkey, resident of Hi no Kuni. 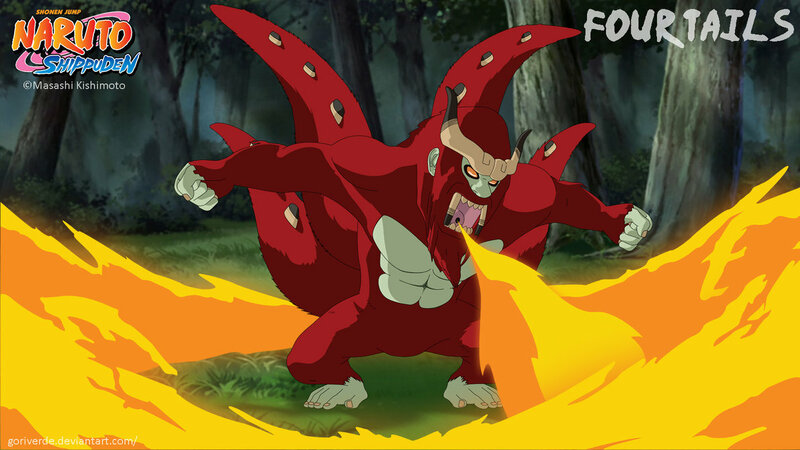 This four tailed Monkey grants its host the ability to combine earth and fire chakra into powerful magma based techniques. The Host of Gokū gains access to the advanced element Lava/Yōton, and its predecessors Fire/Katon and Earth/Doton. The user always has access to this element, even as Genin, but they must take the Ninjutsu Specialty to be able to use it. Five Tailed Dolphin Horse, resident of [unknown], this five tailed beast grants it’s host the ability to combine fire and water into Boil Release techniques. The Host of Kokuō gains access to the advanced element Boil/Futton, and its predecessors Fire/Katon and Water/Suiton. The user always has access to this element, even as Genin, but they must take the Ninjutsu Specialty to be able to use it. Six Tailed Slug, resident of [unknown], Saiken grants his host the ability to use Liquids release, a sub-element of Water. The Host of Saiken gains access to the advanced element Liquid/Ekton, and its predecessor Water/Suiton. The user always has access to this element, even as Genin, but they must take the Ninjutsu Specialty to be able to use it. Seven Tailed Beetle, resident of Mizu no Kuni, Chōmei grants his host massive speed, a testament to its will. The Host of Chōmei passively gains the Physical-Based Affinity for Speed, at their rank (C for Genin, B for Chūnin, etc) - This does not count against their normal limits, and caps at A-Rank. 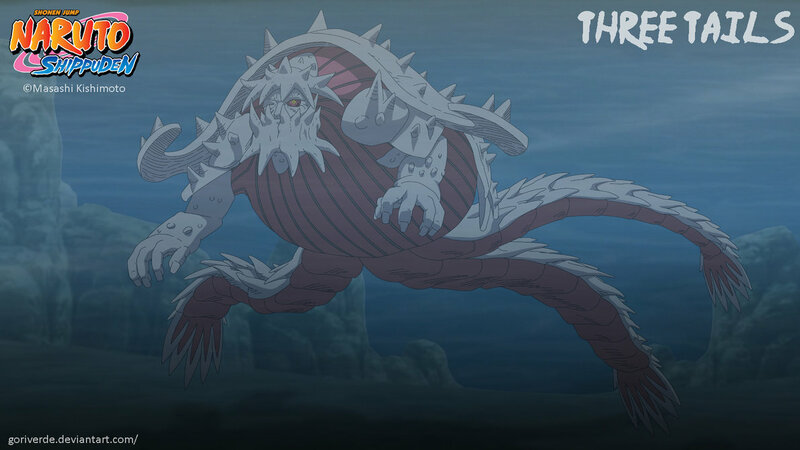 Eight Tailed Ushi-oni, resident of Tsuchi no Kuni, Gyūki grants his host massive strength, a testament to its power. 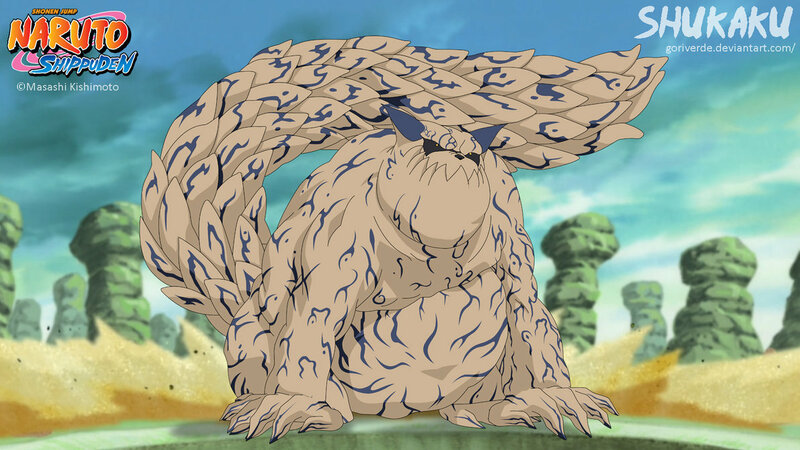 The Host of Gyūki passively gains the Physical-Based Affinity for Strength, at their rank (C for Genin, B for Chūnin, etc) - This does not count against their normal limits, and caps at A-Rank. 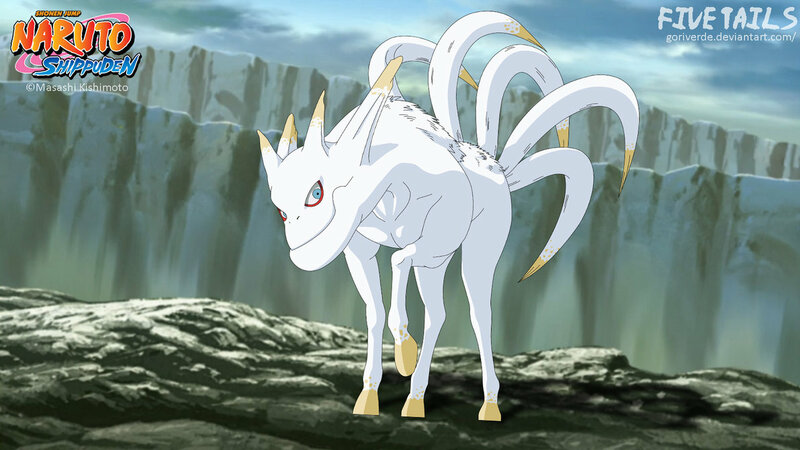 Nine Tailed Fox, Resident of Kaminari no Kuni, Kurama is probably the most famous of all of the Bijuu, he grants his host a faster than normal rate of healing. The Host of Kurama receives a high level of regeneration, able to fully heal from a Chidori to the Stomach twice per thread using only this part of Kurama's power. Additionally, all Jinchuuriki receive the Chakra-Based Affinity known as 'Jinchuuriki Chakra Pool' - This Affinity grants the Jinchuuriki their choice of Bonus Chakra Capacity, or Bonus Chakra Regeneration.